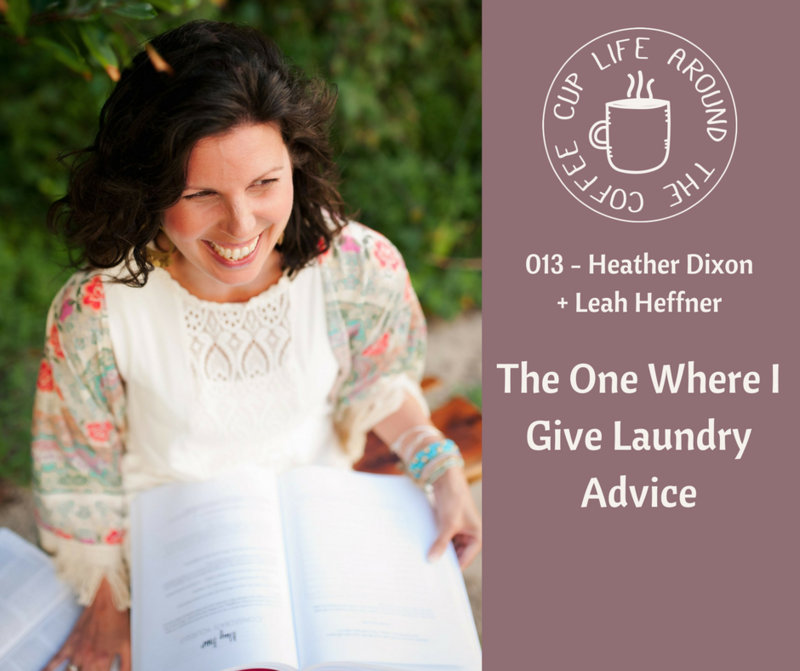 Leah Heffner talks with Heather Dixon about showing up for your people and using your gifts, Heather asks about Leah’s system for laundry (which is HILARIOUS), and together they look for the magic in the mess. Diagnosed with an incurable and terminal genetic disorder that she inherited from her mother, Heather is no stranger to the spiritual battlefield. Choosing to hope in God’s plan for her life, she writes at The Rescued Letters, offering encouragement and equipping women to trust in God, face their greatest fears, and choose life, especially when life presents its most difficult circumstances. When she’s not spilling rescued letters all over the place, you might find her cooking for her husband and son, brainstorming all the possible ways to organize legos and superheros, checking out way too many library books, or unashamedly indulging in her love for all things Disney. Heather is the author of Ready: Finding the Courage to Face the Unknown and a regular contributor to LifeWay’s Journey magazine. This Month’s Podcast is brought to you by Audible! Do you wish you had more time to read? Looking for a way to keep everyone happy(ier) in the car or quiet(er) during afternoon naps? Audio books have been the answer for our family! And right now with Audible, you can get a FREE month PLUS a FREE book. Listen, once the book is yours, it’s yours to listen to again and again. And for kids’ books, there are often collections of multiple books (think several Dr Suess or Boxcar Children) that all count as one book credit! Audio books have helped our family tons with road trips and quiet times and getting our kids into new books. Start your FREE Audible trial now and take great books with you wherever you go!